If you’re a developer of either Mac or iOS apps that use networking, there’s a new feature in the Developer Tools for Mac OS X 10.7 “Lion” (read my review of it at The Guardian) which will be useful to you. This brief article describes how it works. First, you’ll want to get the Hardware IO Tools for Xcode. To do this, go into the Xcode menu, then choose “Open Developer Tool” and finally “More Developer Tools…”. You’ll be taken to Apple’s developer downloads site; you should download the “Hardware IO Tools for Xcode”. 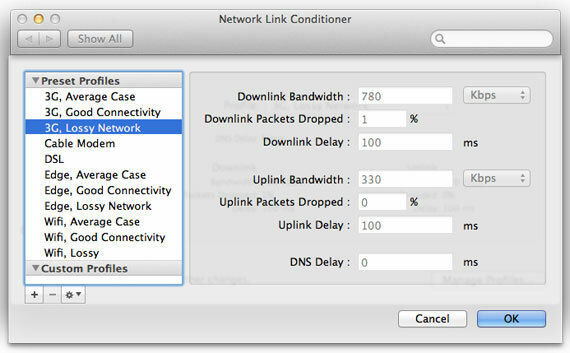 The resulting disk image will contain (amongst other things) a preference pane for System Preferences, called “Network Link Conditioner”. Double-click the prefpane file and authenticate to allow it to be installed. You’ll then see the pane in System Preferences. 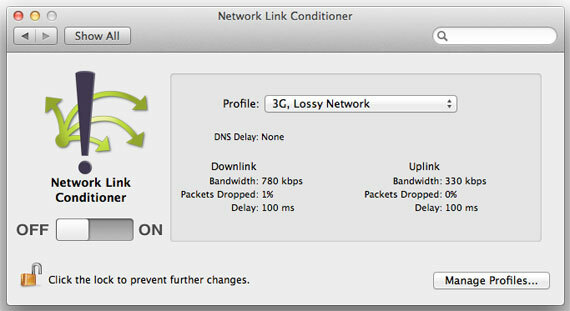 You can choose from various different types of network conditions using the Profile popup menu. You can also add profiles of your own by clicking Manage Profiles, either from scratch or via duplicating an existing profile. 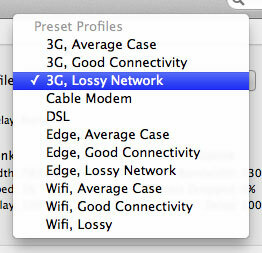 Extremely handy for simulating less than optimal network conditions while testing an app. Just don’t forget to switch it off afterwards! If you’re interested in more tips about OS X Lion, I’ve been tweeting extensively about it recently; you may want to follow me (@mattgemmell) on Twitter.